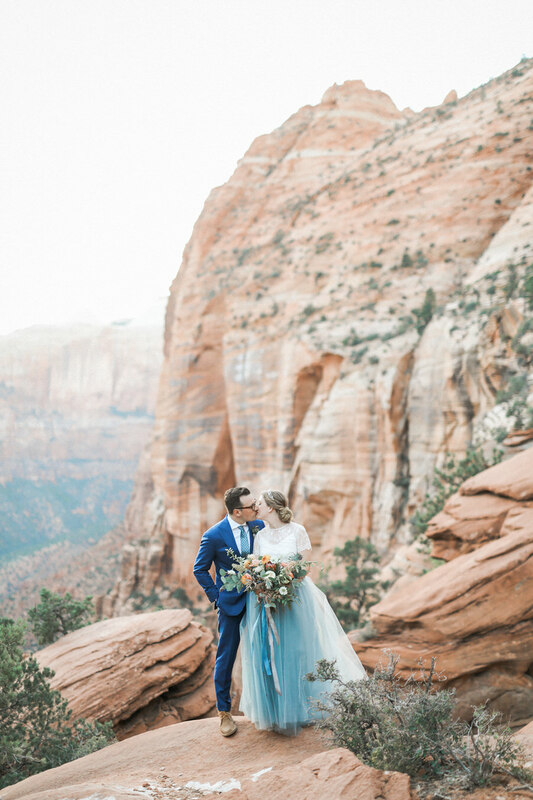 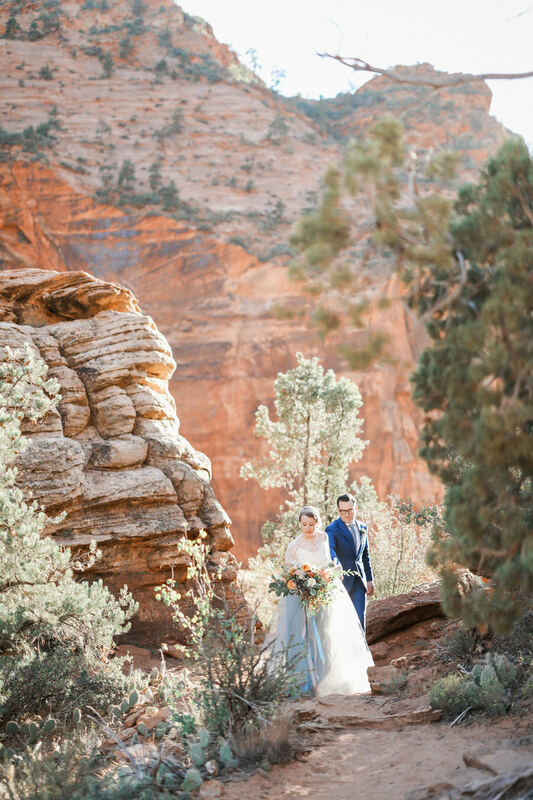 There is no place in the world like Zion National Park to have a destination wedding! 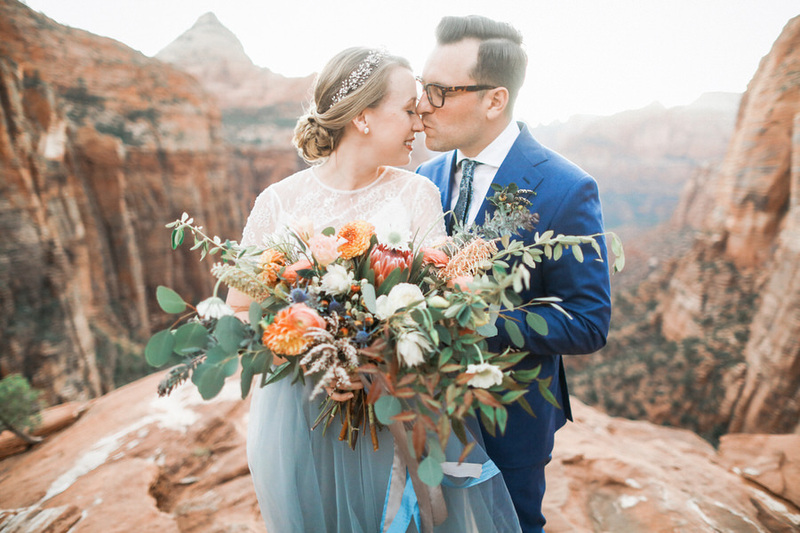 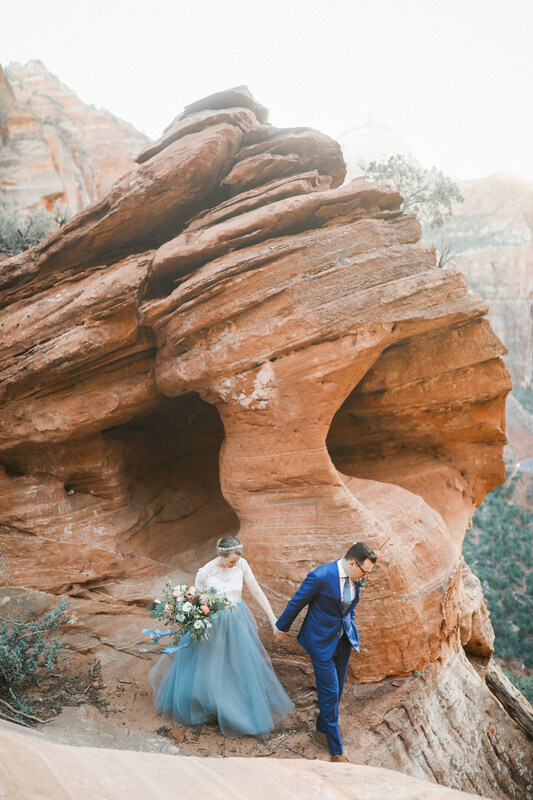 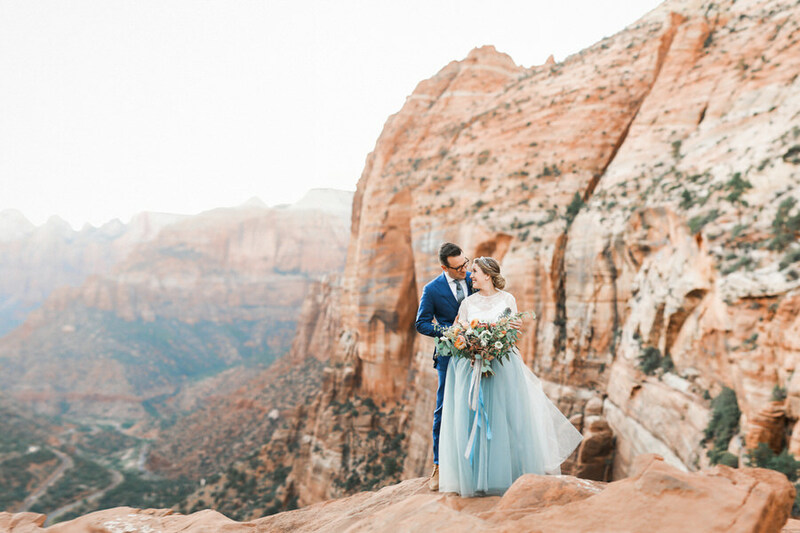 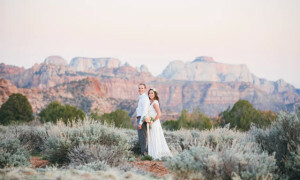 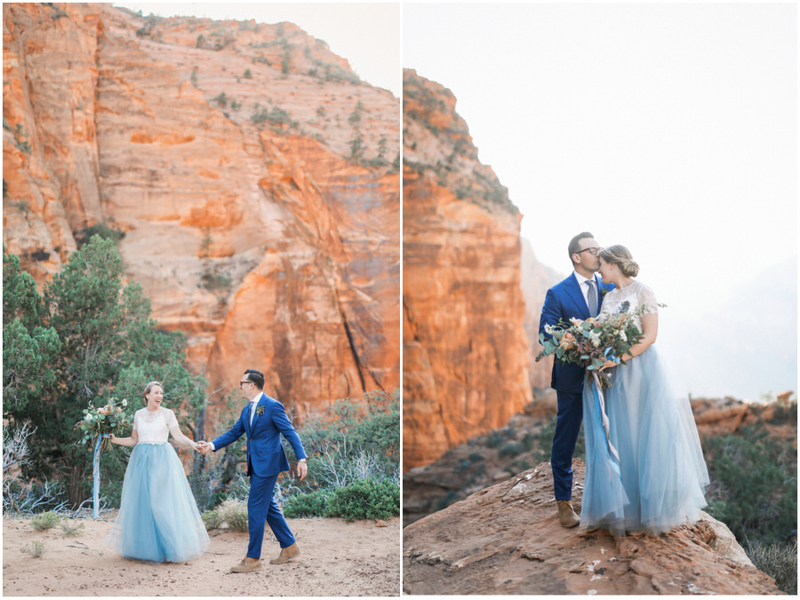 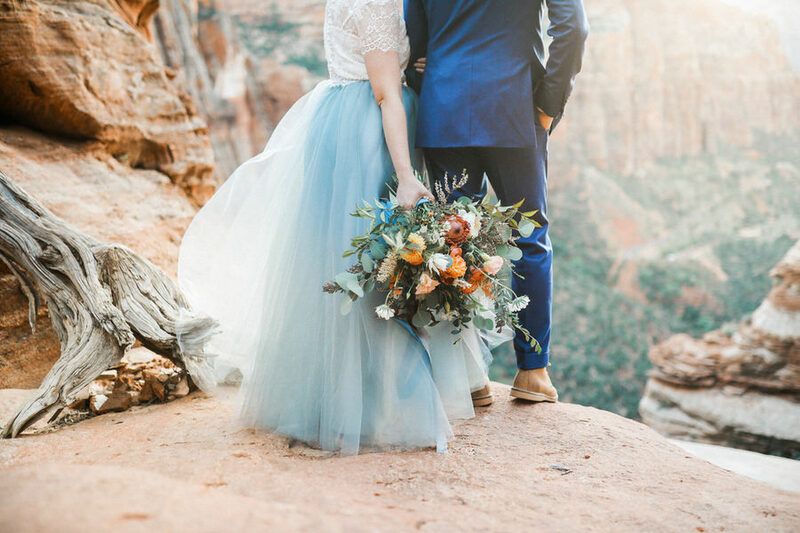 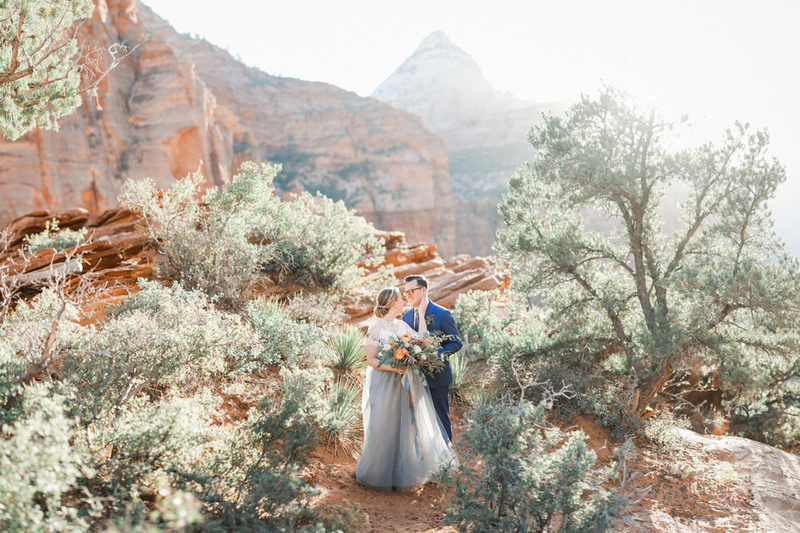 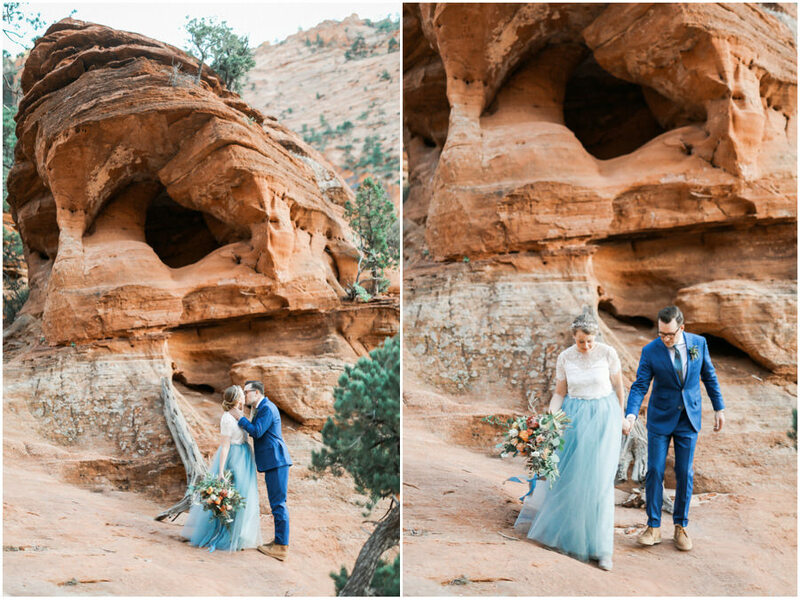 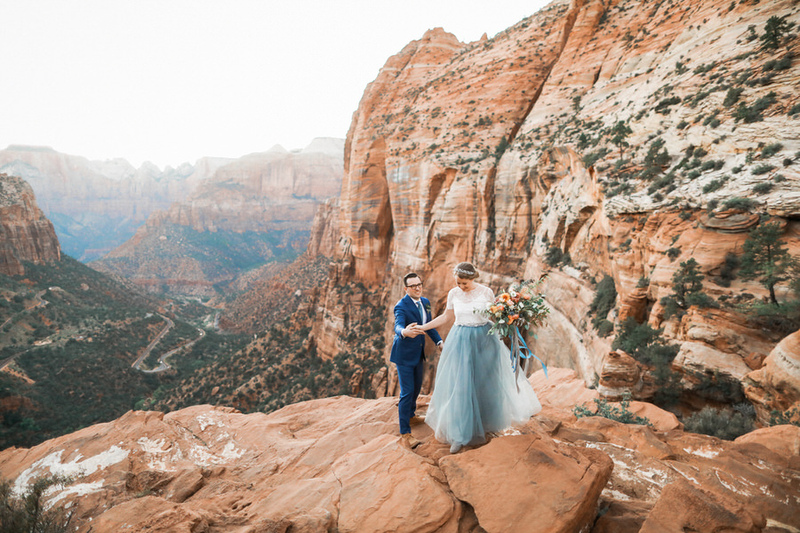 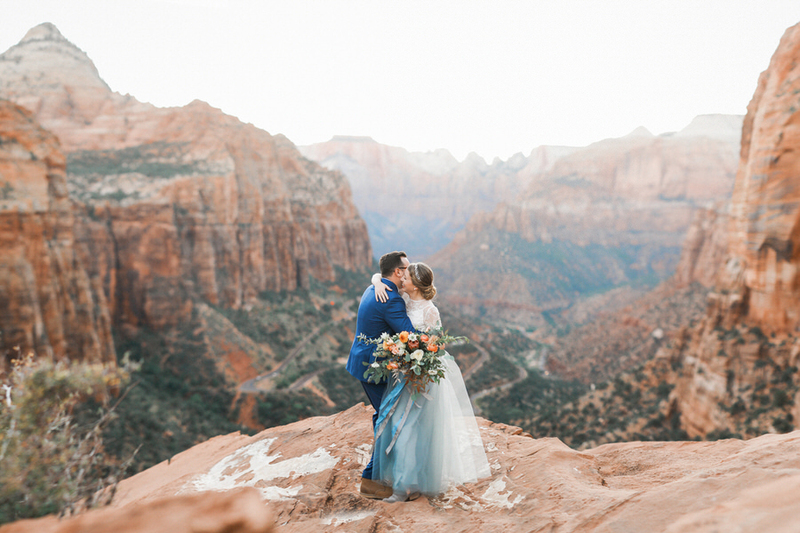 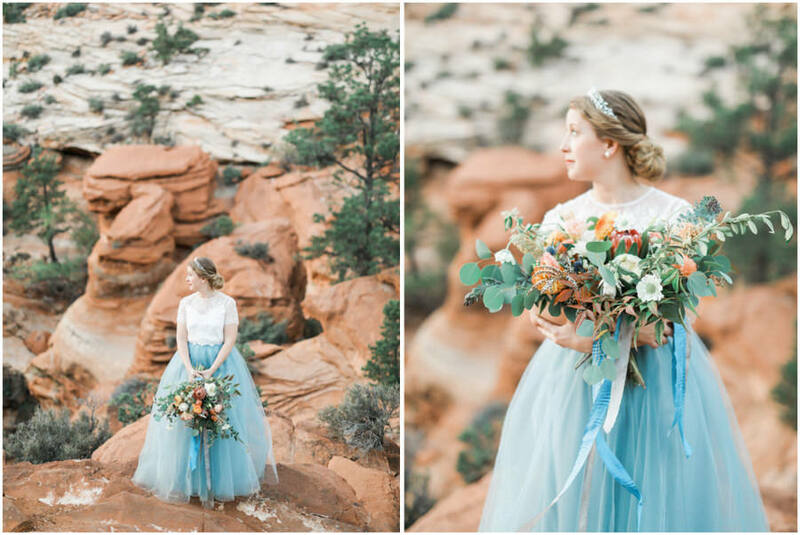 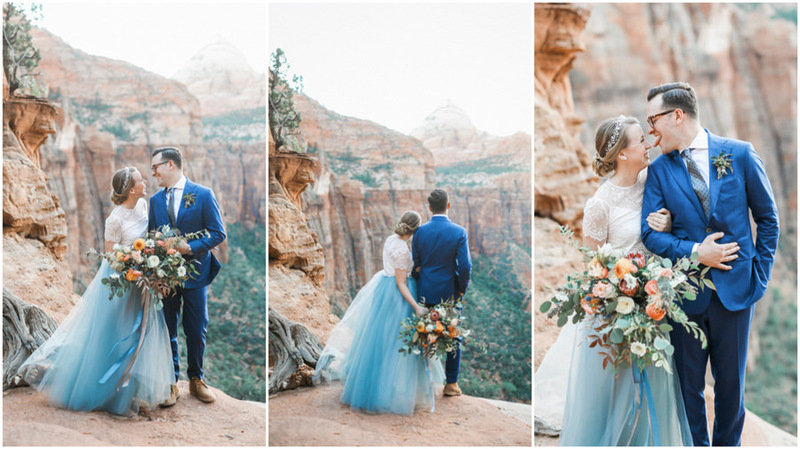 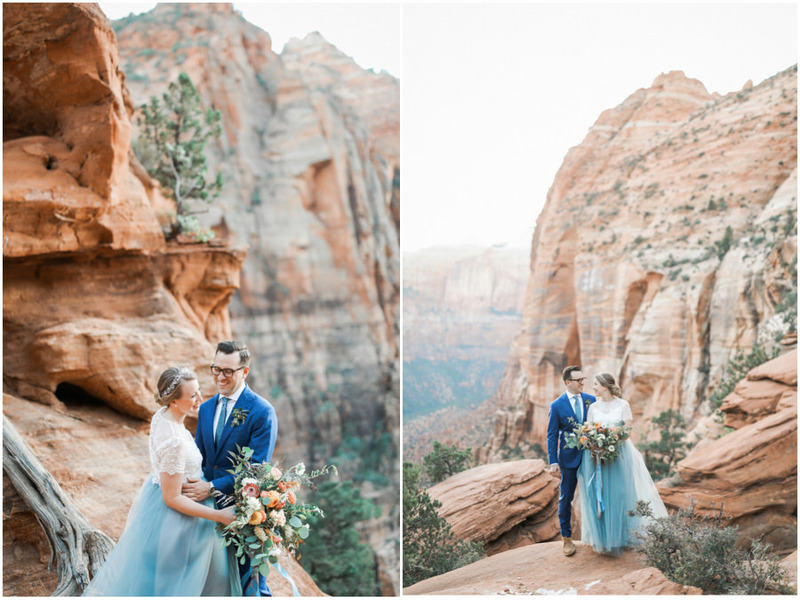 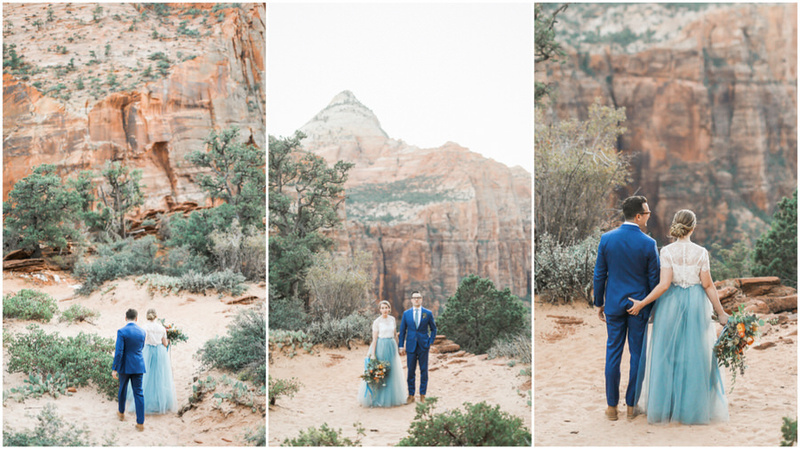 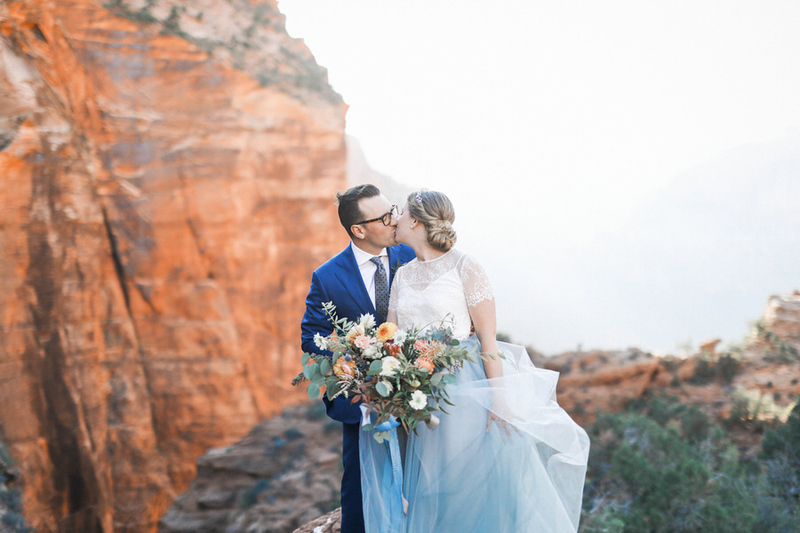 A Zion National Park Elopement or Wedding is always amazing! 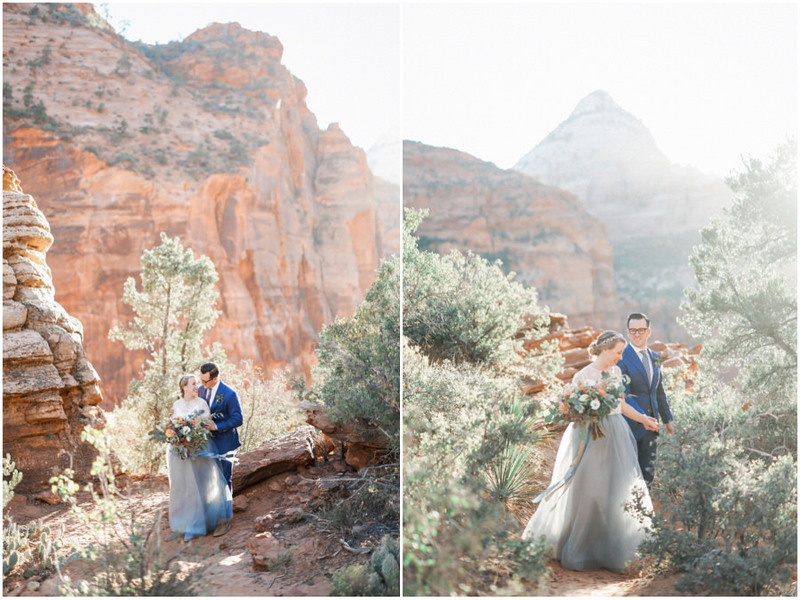 I love photographing weddings in Zion, and am so happy to have photographed Whitney and Daniel’s special day! 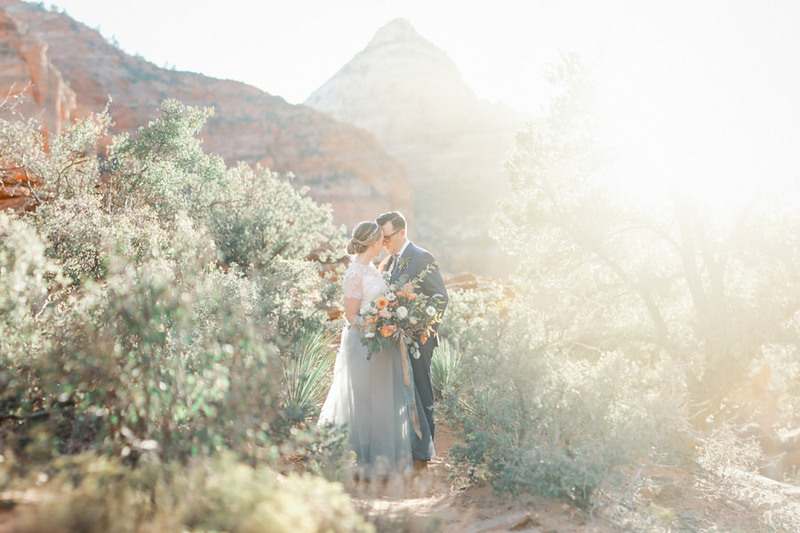 This was a destination wedding in all senses of the word. 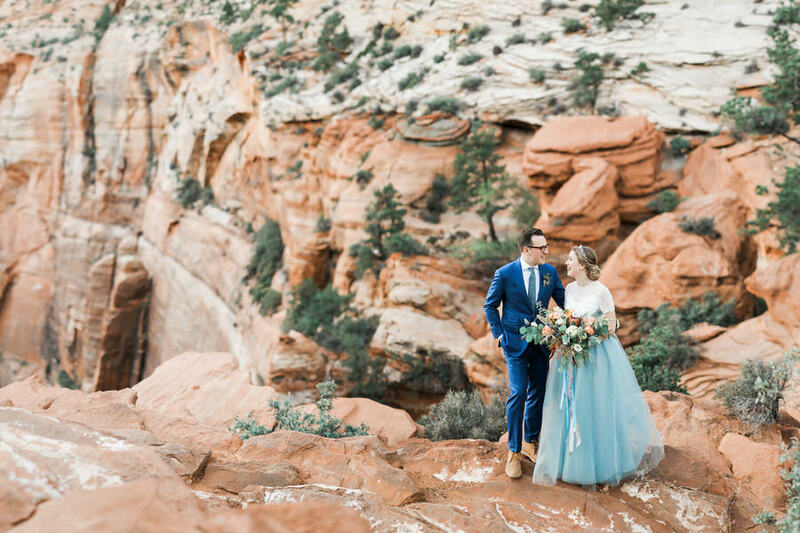 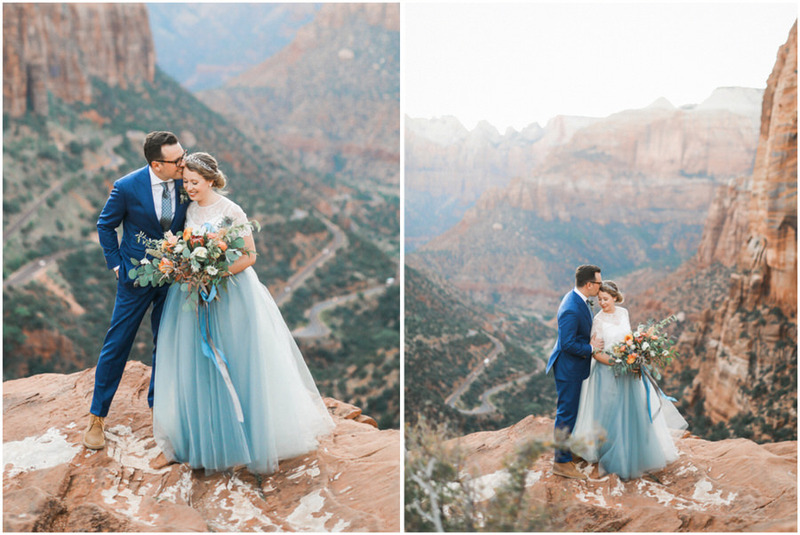 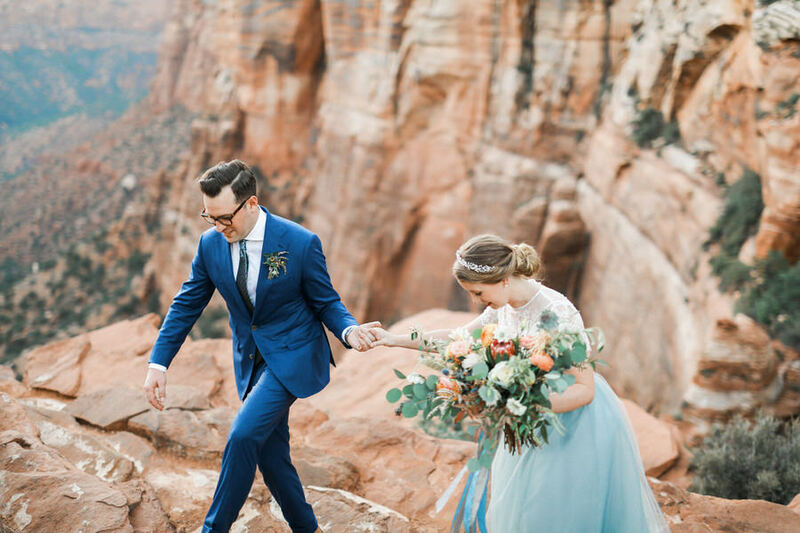 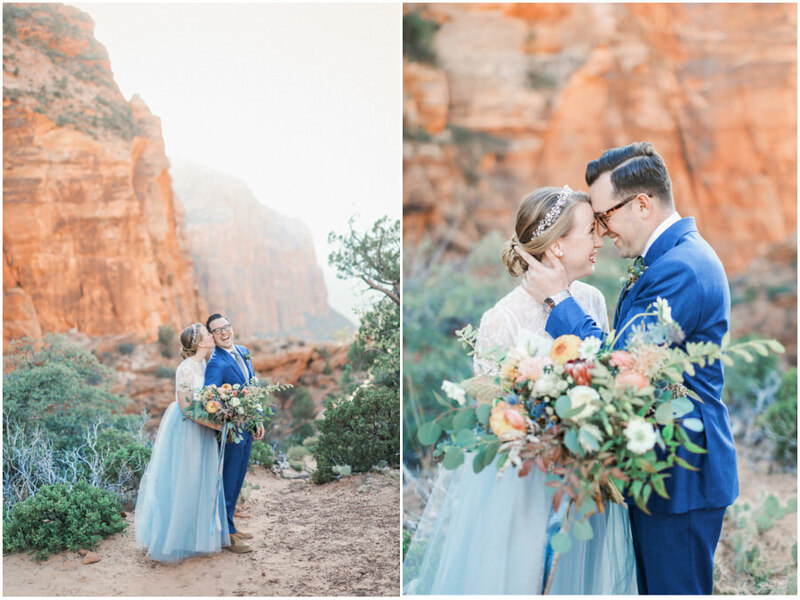 Traveling all the way from Australia, the two came across the world to be married in Zion National Park. 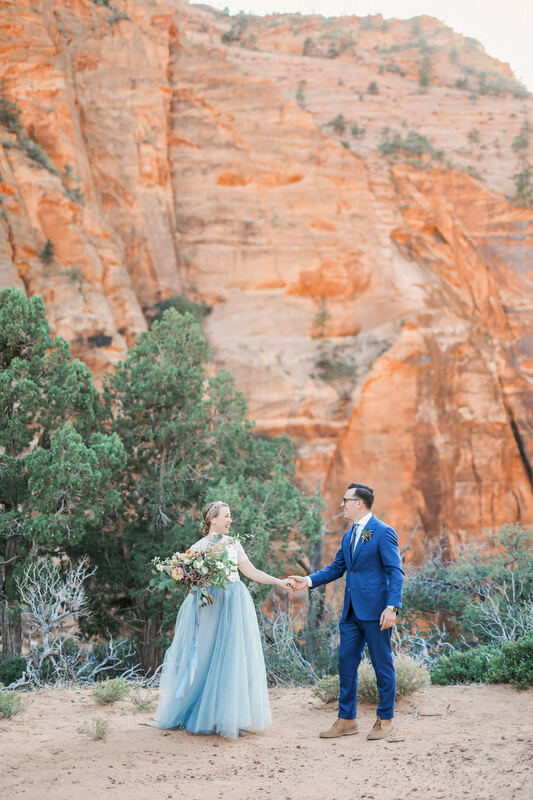 Many of their friends and families came from the east coast, or from Australia. 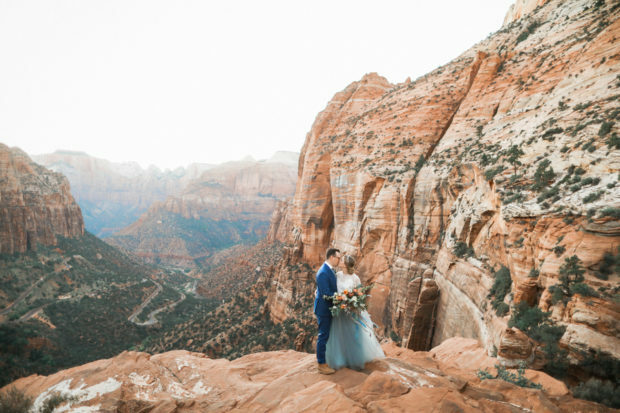 Southern Utah and Zion has such an overwhelming power, and I love seeing people experience it for the first time. 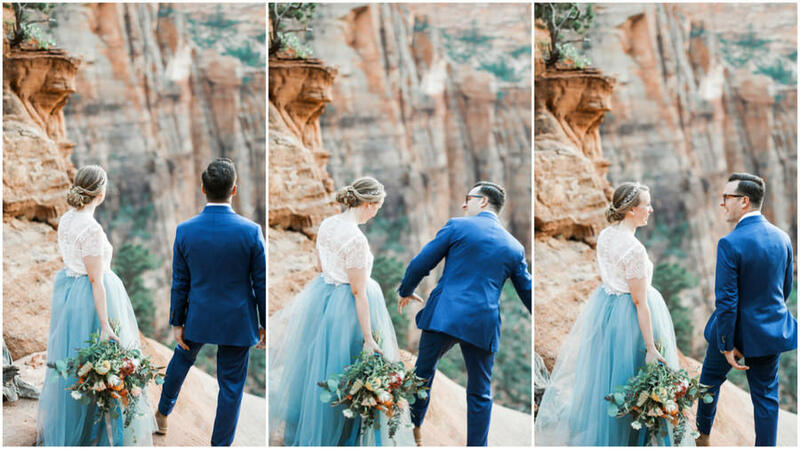 For most of their friends and family, this was an experience like no other. 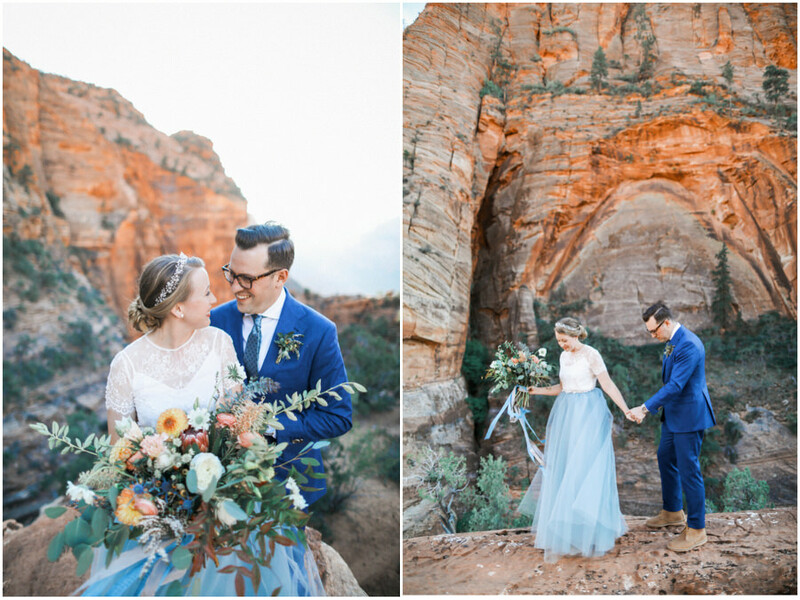 Although they live in Australia, they knew that they wanted to be married in Zion National Park. 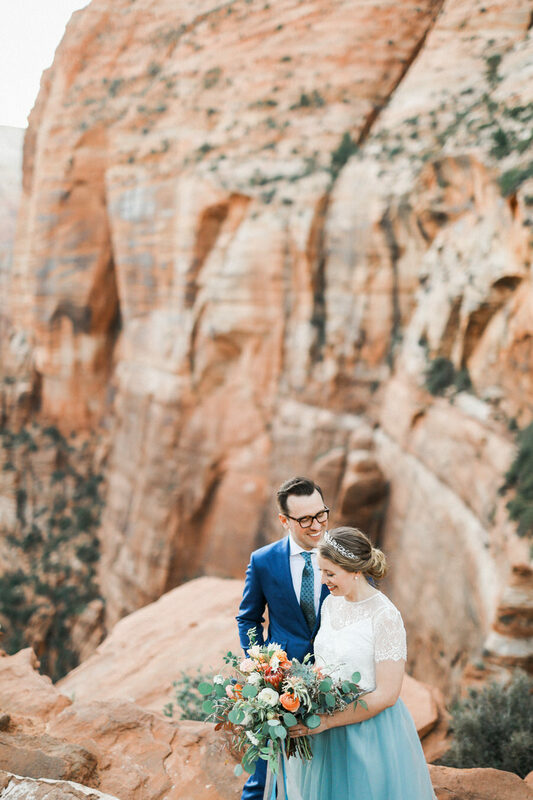 The Zion overlook is fantastic, although on many wedding days, due to timing, we won’t have the chance to visit some spots like we did for this session. 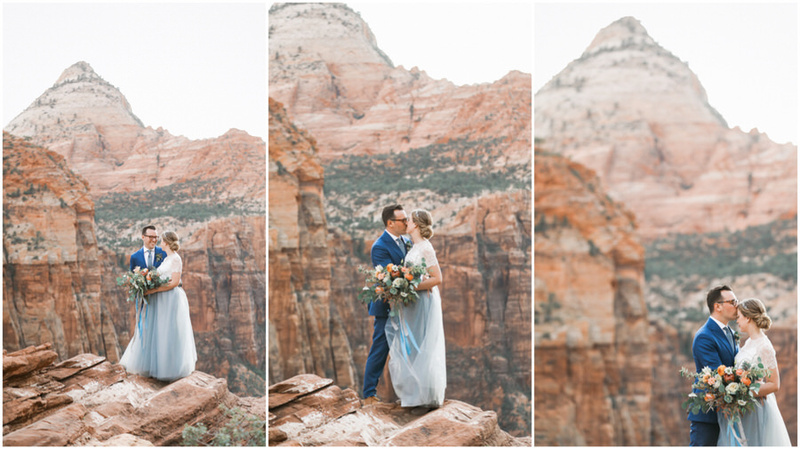 Whitney and Daniel really wanted to have photos done at the Zion Overlook, so we decided to do a session with the two fo them a couple days before the actual wedding. 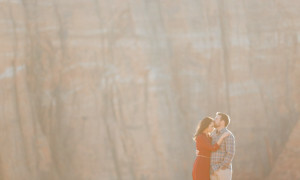 It also works doing a session like this a day or two after the wedding. 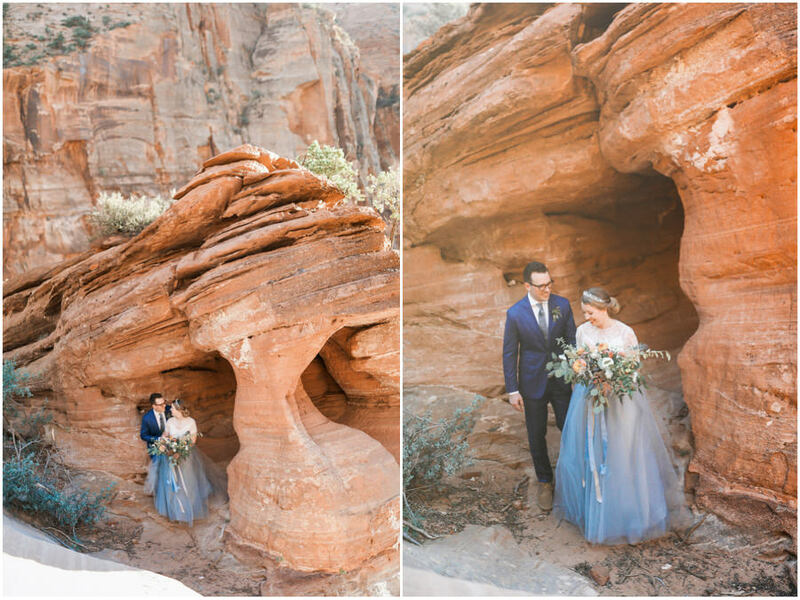 Sessions like this can take stress off of the wedding day, so that we are able to get photos from some of my favorite spots in the park! 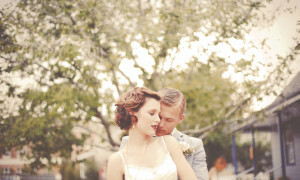 I look forward to sharing photos from the wedding day albeit in a future post. 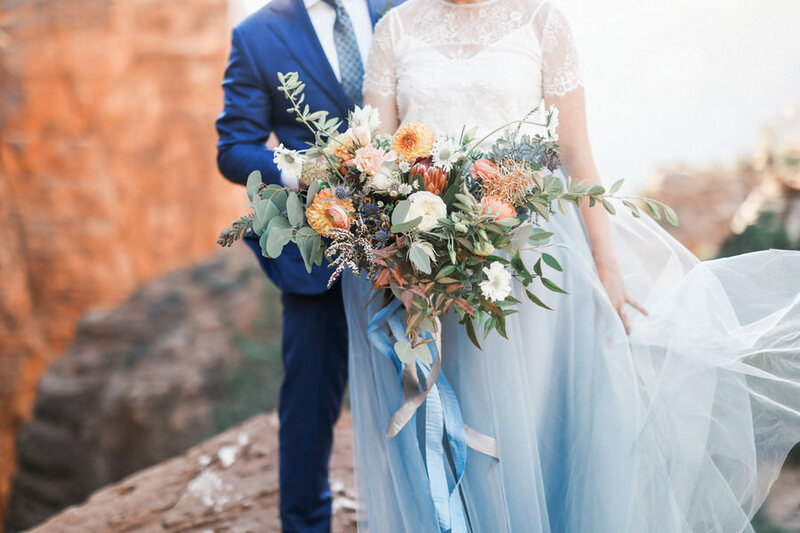 Forevermore events did such an amazing job with all the decor, and Bloomers made the most beautiful floral arrangements! 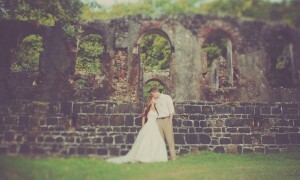 can you tell me if there are any wedding venues close to this location?? 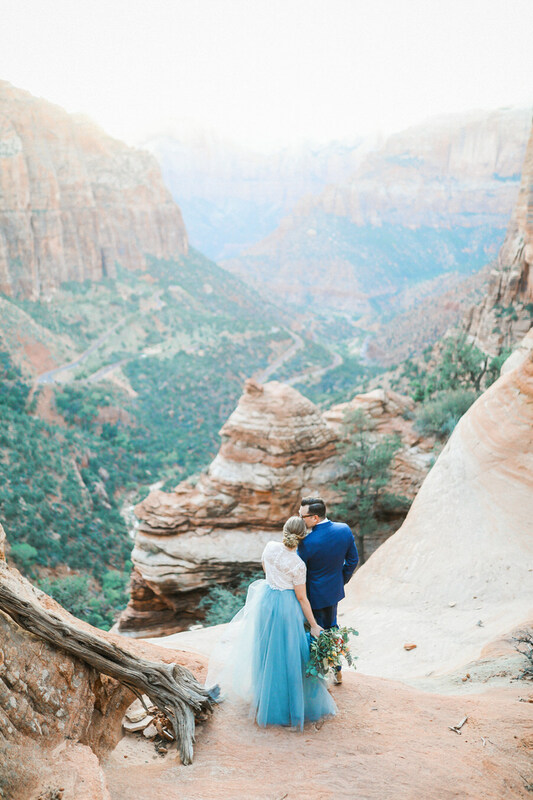 I am from Michigan, and helping one of my Brides find a wedding destination (yes she booked me first lol!). 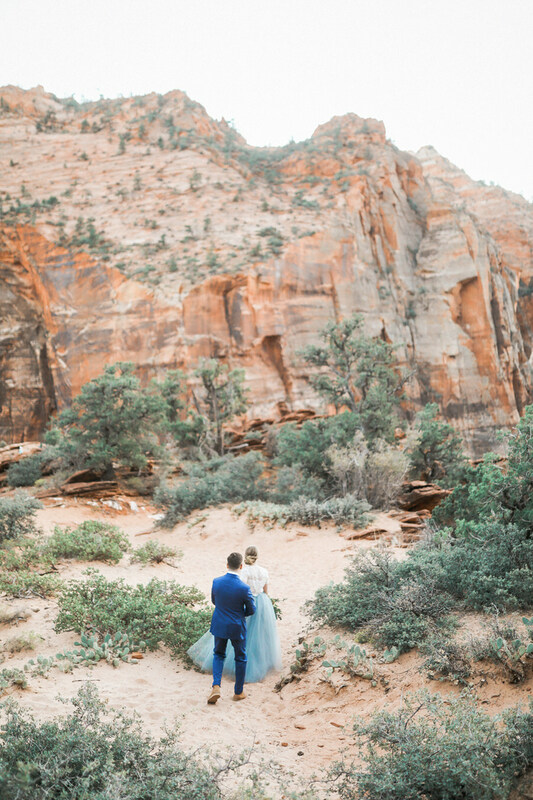 We would want a venue as close to this park as possible. 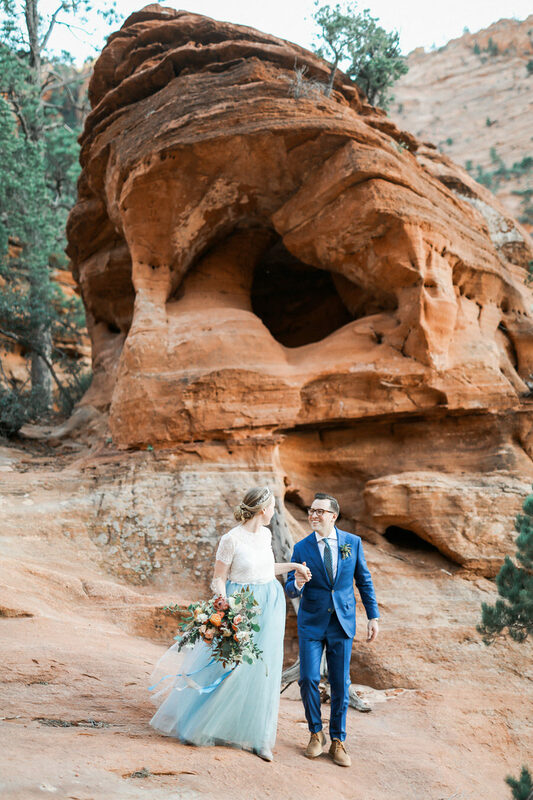 I would really appreciate your help!